America! Land of the free. Home of the brave! There’s no greater country in the world. We celebrate our independence each year with cook outs, hot dogs, fireworks, the beach and movies. So we’ve created a list of the Top 18 Patriotic Movies for you to watch in celebrating Independence Day! There is no better Fourth of July movie to choose than Independence Day. This movie stars all American actor Will Smith scrambling to save the Earth from aliens. With iconic American landmarks on the brink of disaster, nothing brings Americans closer together than war and aliens. Independence Day combines the two for a fun tour de force. Once deemed unfit for military service, Steve Rogers becomes an American super soldier, fighting for the ideals of the United States, after volunteering for a secret research project. Chris Evans plays America’s favorite hero and Samuel L. Jackson is the icing on the cake of this chapter in the Marvel Cinematic Universe. It’s even more American in 3D! Set in Philadelphia, the city that started it all, boxer Rocky Balboa (played by the films writer, Sylvester Stallone) gets the chance to fight the heavy-weight champion of the world, Apollo Creed. 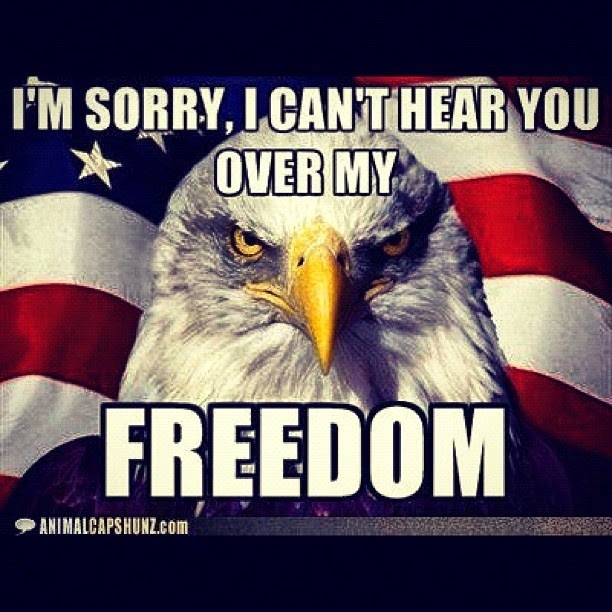 Fighting for freedom and the most American theme song in the world? Check and double check! This movie starring, well puppets, has a popular Broadway actor getting recruited by the counter terrorism group Team America: World Police. The creators of South Park birthed this movie and it’s just as irreverent and American as you’d expect. There’s nothing more American then immigrants (sorry, Native Americans). Coming to America stars Eddie Murphy as an African prince who goes to New York City to find a wife. This touching animated film finds a young Russian mouse getting separated from his family after emigrating to the United States in 1885. An American Tail spawned a sequel (An American Tail: Fievel Goes West) as well as the theme song, Somewhere Out There. Another Steven Spielberg directed film, President Lincoln fights from every angle to finally emancipate the slaves. Daniel Day-Lewis, who is English – NOT ‘Merican, stars as President Abraham Lincoln, while Sally Field, Joseph Gordon-Levitt, James Spaders and Tommy Lee Jones round out the cast. Matthew Broderick leads Morgan Freeman and Denzel Washington as soldiers in the US Civil War’s first all black volunteer company. It’s about civil rights, the Civil War and it stars Morgan FREEman. Need we say more? An all star cast, including Tom Hanks, Bill Paxton and Kevin Bacon lead this American classic – and true life story- as three astronauts must figure out how to repair their damaged spacecraft and return home….to ‘Murica. On the 4th of July, the FBI’s Cyber Crimes Division is hacked into and police officer John McClane is brought in for assistance. Explosions, terrorists, police and Bruce Willis. All I hear is America, America, America! The Declaration of Independence – the most American document there is – is at stake when treasure hunter Benjamin Franklin Gates is close to finding a war chest hidden by the Founding Fathers after the Revolutionary War. Seriously, this movie should be required viewing for every citizen. Yet another Steven Spielberg treasure, Jaws takes place over 4th of July weekend, when a great white shark begins attacking in the small community of Amity. Bikinis, sharks and Steven Spielberg. How much America can one movie have? The most nefarious enemy of the United States, Osama bin Laden, is the target in this sobering film which follows the ten year long hunt for the terrorist. A stunning tribute to our Armed Forces. Tom Hanks stars in this Oscar award winning movie as Forrest Gump, the gentle Alabama born man who experiences a series of memorable iconic events in American history. While the 1998 film of the same name features Steven Seagal, the 2000 film, thankfully, has nothing at all to do with it. Mel Gibson stars as a peaceful farmer who must lead the Colonial Militia during the American Revolution when is son is murdered. This was Mel Gibson before he went all crazy pants, and one of his best – and most underrated – movies. This powerful Steven Spielberg film depicts a group of soldiers who go behind enemy lines to rescue a fellow soldier following the Normandy Landings. Starring Tom Hanks, Edward Burns, Vin Diesel, Matt Damon, Edward Burns, Giovanni Ribisi, Paul Giamatti and more, this film demands your full attention. A fearless pilot, played by Tom Cruise before he went cray, in the Navy’s fighter weapons school competes to be the best in his class. What is more American then 1980’s Tom Cruise, the U.S. Navy, and a soundtrack featuring two Kenny Loggins songs? The true life story of Ron Kovic who was paralyzed in the Vietnam war and becomes an anti-war activist. Tom Cruise stars in this gripping drama about a man who feels betrayed by the country he served.